Burnley’s run without an away win continued yesterday at Goodison Park where Everton ran out 3-1 winners to continue their outstanding home form in 2017. It’s been a long running saga this season as the search for a win on the road has taken us to 17 games in which only four points have been won in draws at Manchester United, Hull, Sunderland and Middlesbrough but there is no doubt for me that this team of ours is now far, far better on the road than it was earlier in the season. This latest loss was our biggest away defeat, our first by more than one goal, since we lost 2-0 at Stoke back in November, but it was far removed in terms of performance than those earlier in the season, particularly at Leicester, Southampton and West Brom. With a little bit of better fortune in our own box and a little bit more ruthlessness in their box, we might well have been coming home with all three points. We, as Clarets, might all have made our way home disappointed but we should all have been coming home enthused at how well we played at times against one of the better teams in the league on their own ground where, recently, they have been nothing short of lethal. 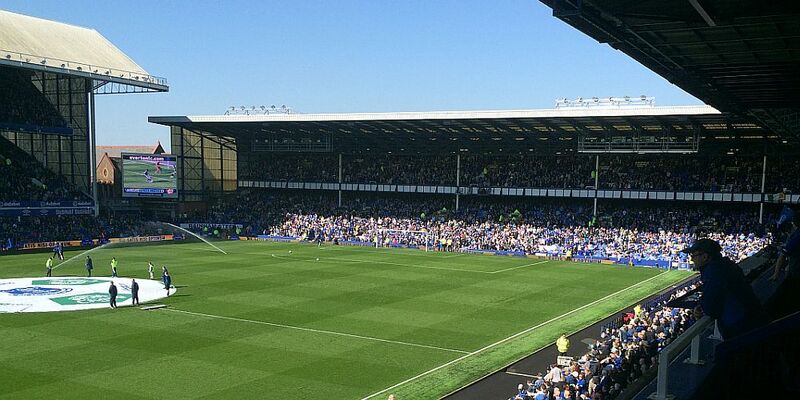 There is something about Goodison I really like. It’s nothing like a modern Premier League stadium, many of the seats in the ground, for both home and away fans, don’t afford the best of views, but it is the sort of ground I was brought up with. Two of the stands are older than me and the big main stand is almost as old as the cricket field stand at Turf Moor. There is so much tradition there and in so many ways it will be a sad day when they move. The build up to the game, certainly for the home side, had centred on Ross Barkley and in particularly the column in one national newspaper that Everton Football Club have now banned. It was clearly written to coincide with yesterday’s 28th anniversary of the Hillsborough disaster. I think everyone knows my thoughts on that, how I’ve always believed the families were absolutely right to campaign for justice which finally came around a year ago. I also think everyone knows my preference for a minute’s silence rather than applause, but I thought Everton got it absolutely right yesterday with their decision to have applause with the playing of the Hollies ‘He ain’t heavy, he’s my brother’ throughout. Just four weeks ago I saw Burnley fans laying claret and blue scarves by the memorial at Anfield ahead of our game there; yesterday I felt privileged to be part of the remembrance inside Goodison. On a football note, it also reminded me that on that awful day in 1989 we were beaten 1-0 at home by Darlington. I read last night that on the same date twenty years ago, under the management of former Evertonian Adrian Heath, we took a 5-0 battering at Wycombe. Now, back in the top flight, we were at Everton where Sean Dyche made one change to the team that had drawn at Middlesbrough with Sam Vokes coming in for Andre Gray. The only other surprise was Scott Arfield not being in the squad but that was later explained with Arfield having picked up an injury in training. None of our strikers have scored since Ashley Barnes netted at Liverpool with only George Boyd having scored since, so it probably is no surprise to see Dyche opting to rotate them right now to try and search out that winning partnership. Romelu Lukaku was always considered to be the biggest threat and it only took him two and a half minutes to get his first shot on target. He might have done better but got little power in his effort which made it easy for Tom Heaton. Other than Tom having to make a good save to keep out a Mason Holgate shot, that was about it for Everton, one deflected free kick apart. They played the ball well across the pitch in an area some 30-yards from our goal but rarely looked as though they would get the better of us. Meanwhile, down at the Gwladys Street end of the ground we probably should have had something to show for our first half efforts. Barkley got back just in time to head a Michael Keane header off the line and twice in just a few minutes Vokes saw Joel Robles make saves from him. He probably should have done better with them but overall he had a good first half. When Mark Clattenburg blew his whistle for half time it was Burnley who could claim to be disappointed at not going in with a lead, but it had still be an excellent first half from the Clarets although, in the last few minutes, Everton had tried to come back at us without really creating a chance. Even so, the thought at half time was that we would need to steer through some difficult waters in the opening minutes of the second half and so it proved. Everton, with Enner Valencia on for Idrissa Gueye, came out like a team possessed and put us under enormous pressure. It paid dividends within four minutes but there was some good fortune to it. They won a right wing corner which got to Phil Jagielka via two headed flick ons. His header went in off the post. Clattenburg got the signal that it had crossed the line, and it had by some distance, and pointed to his watch as he signalled the goal. That was just what we didn’t want but three minutes later we were very much back in it due to a shocking error by the home keeper Robles. Michael Keane brought the ball out of defence and got it forward to Jeff Hendrick. He tried to play in Vokes but there was too much on the ball which left the Burnley striker moving away from goal to the left of the penalty area. With no apparent danger, Robles incredibly fouled Vokes who got up to equalise via the resulting penalty. We had to withstand a bit of Everton pressure but, despite the home side looking better than they had in the first half, we were still very much in this game. One Kevin Mirallas effort apart, they weren’t really troubling our goal. We got past 70 minutes at 1-1, and that would have been an excellent result for us, but then came a bad three minutes that turned everything against us. Barkley got in a shot that evaded Heaton at his far post to regain the lead for Everton. We quickly saw that the goal had been given as a Ben Mee own goal but what we didn’t know until later was that it had already deflected off Keane. Maybe Barkley’s effort was on target and maybe he will be credited with the goal, but there is no doubt that it wouldn’t have troubled us but for the two cruel deflections. Barkley disappeared into the Gwladys Street; Clattenburg waited with his yellow card. If only Michael Oliver had carried out the mandatory duty of a referee to yellow card an excessive celebration when Watford’s M’Baye Niang did exactly the same at Vicarage Road having already been yellow carded earlier in the game. Now we had a fight on to get something but within three minutes things had got doubly worse. Vokes was forced off with an injury that saw him replaced by Gray and seconds after that 2-1 became 3-1 when Lukaku did what Lukaku does. I think you’ll struggle to find too many strikers who will get the better of Keane in that situation but Lukaku’s strength got him beyond our England centre back and from that moment you just knew he would finish. It looked all over and it was, but my word we kept going and gave it a real go to try and get back into things. Dan Agyei got on for his second appearance and Ashley Westwood replaced Hendrick with around four minutes to go. It was a tough ask to come back from 3-1 and ultimately we didn’t even get one goal back although our efforts were surely worthy of that and just to rub salt into the wound, Barkley headed off the line again, this time to deny Stephen Ward. Dyche said after the game: “Performing like that will get us what we all want,” and I have no doubts about that. For those of a nervous disposition, there was the good news to come through of defeats for Hull and Swansea. It means we remain eight points clear of the relegation positions and now with one less game to play. There is absolutely no doubt in my mind that our team has continued to improve during the season. Yesterday, as we did at Middlesbrough, we got another flavour of what Robbie Brady can offer our team, but it is not just that one position in the team. Even Ronald Koeman had to offer up some praise for our performance yesterday. I’d love to win an away game, like everyone else, but the only thing that matters is that when the fixtures are released in June, we are looking once more for trips to such as Chelsea and Liverpool, to Everton and Manchester City. We are so nearly there. Everton: Joel Robles, Mason Holgate, Phil Jagielka, Ashley Williams, Leighton Baines, Tom Davies, Idrissa Gueye (Enner Valencia ht), Morgan Schneiderlin, Ross Barkley (Ademola Lookman 90), Kevin Mirallas (Gareth Barry 76), Romelu Lukaku. Subs not used: Maarten Stekelenburg, Matthew Pennington, Dominic Calvert-Lewin, Jonjoe Kenny. Yellow Cards: Idrissa Gueye, Ross Barkley. Burnley: Tom Heaton, Matt Lowton, Michael Keane, Ben Mee, Stephen Ward, George Boyd, Jeff Hendrick (Ashley Westwood 86), Joey Barton, Robbie Brady, Sam Vokes (Andre Gray 74), Ashley Barnes (Dan Agyei 83). Subs not used: Nick Pope, Jon Flanagan, James Tarkowski, Steven Defour. Referee: Mark Clattenburg (Tyne & Wear).